All of our moderators have cybernetic implants. They watch over you as you sleep. Hey gang. 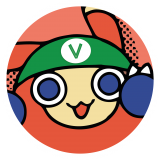 As you may or may not know, Klonoa Forums here was created and maintained by the same person who made the Klonoa Wiki (*ahem* Aura). So that goes without saying that we are directly affiliated with it. As you may know, the wiki page needs some loving. I'm only one person with quite a few projects going on at one time (Project Heroes, working another project, uploading Klonoa music, maintaining this site, oh gawd do you really wanna know all what I do? ;-;) so I'm looking for people who will donate their time to helping me dust off the wiki, organizing it a bit more, and keeping it up to date. If you're interested to reply to this topic and I'll list you as a volunteer. I'd appreciate it. Cheers! I've never done that before but I to tend to have free time a night pretty often lately. If I had a test wiki or something similar to mess with I could try to organize it and see what you think. This is a good starting point on how to edit wikis. If I do anything I'd rather start small I don't like the idea of accidentally messing things up. Bah, there are others who can catch your mistake, so no worries. I'd be happy to help! What needs needs to be focused on the most? Since Empire of Dreams was re-released on Virtual Console, that can be updated. Some articles need to be fleshed out a bit. BONUS: Oh! I thought about listening music tracks on the wiki and where they might appear in each game. But keep in mind when you're doing wikis, it's about the FACTS. No feelzies or opinions. Just facts. Alright, good to know. Do I have to sign up for a Wikia account first or something? Yeah, gotta make an account there. It's relatively simple. Count me in too, I'll do the account later and start working.